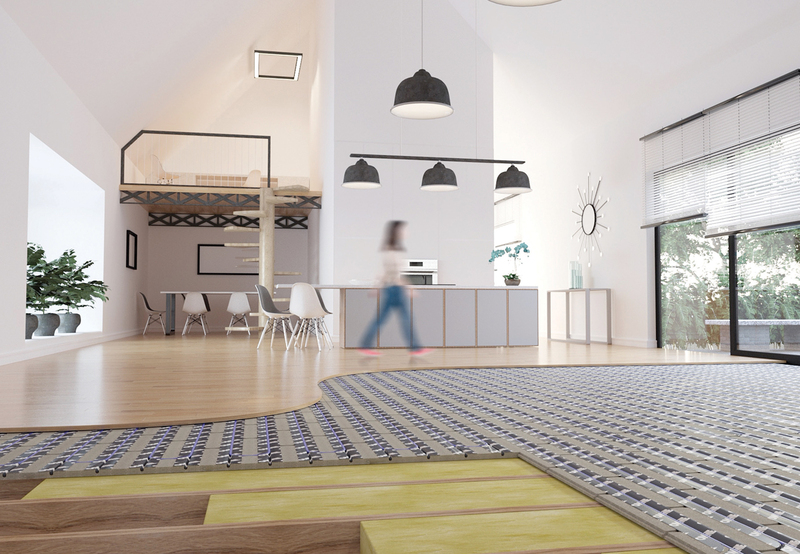 High performance underfloor heating for professionals. Comprehensive free design service, dedicated project manager, local experts that come to you and specialist services for architects, developers and professional heating engineers. Part of the OMNIE Whole House System. Our ground source and air source heat pumps are the perfect partner for underfloor heating. Designed to reduce running costs and deliver exceptional performance, our Alpha-Innotec pumps are made in Germany and are by far the best in class. Air quality matters so why compromise? - clean and fresh air throughout the home can make a huge difference to the quality of the indoor environment. Our ventilation systems are best in class and work in tandem with our other Underfloor Heating & Heat Pump systems. Part of the OMNIE Whole House System. Our underfloor heating is designed for all UK floor constructions, is independently tested for high performance and is easy to buy and install. Why have thousands specified OMNIE? Our systems are designed to work together to create what we call 'The Whole House System'. Choose from underfloor heating, heat pumps and ventilation - or combine all three for unbeatable home comfort. Our systems are very easy and quick to install. We design all our systems to work together and provide unbeatable support and backup. our design services are fully indemnified and we guarantee all systems will work as designed. Our systems are cheaper than you think, with prices starting at only £7 per sqm. Respected installer Roger Bisby talks about our most popular underfloor heating systems in this series of technical videos. Comprehensive range of home controls. High performance underfloor heating products to heat your home with efficiency and comfort. High output, low energy heat source for your project. Air quality matters so why compromise?